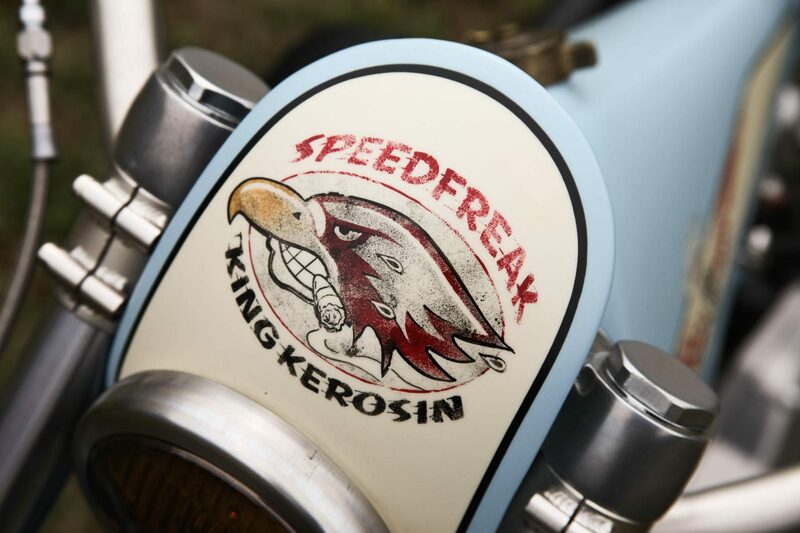 On the basis of an Ironhead Harley-Davidson Sportster, this custom bike in vintage racing look was created for the King Kerosin label. 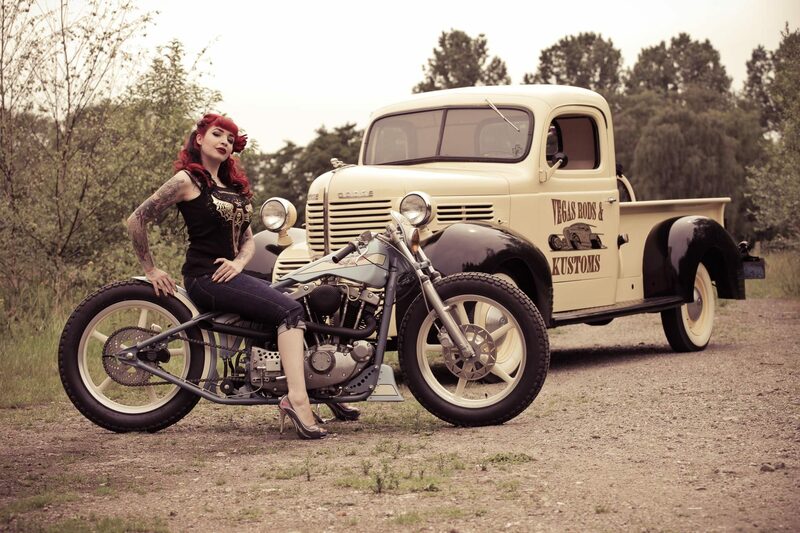 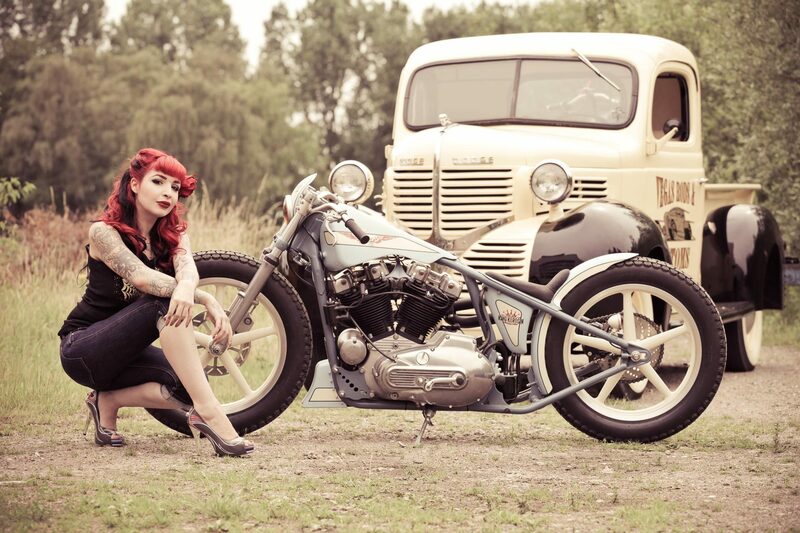 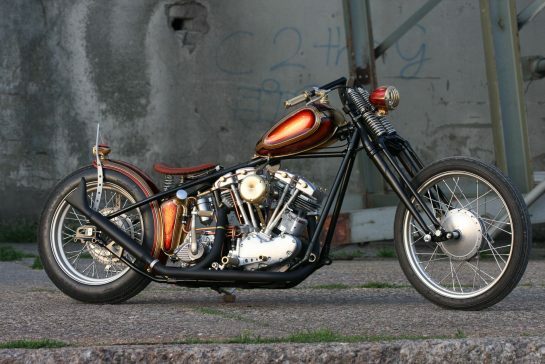 Of some bikes you just cannot get enough. 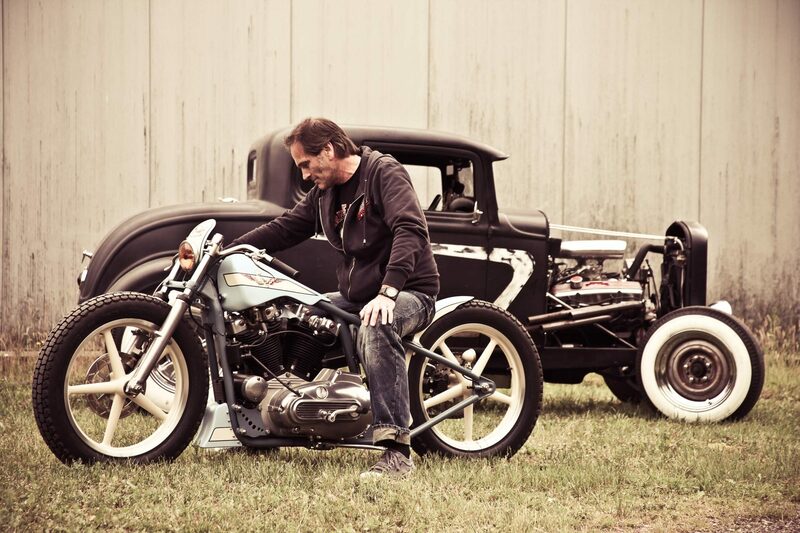 That also applies to the Speedfreak and the Jagged Rocker. 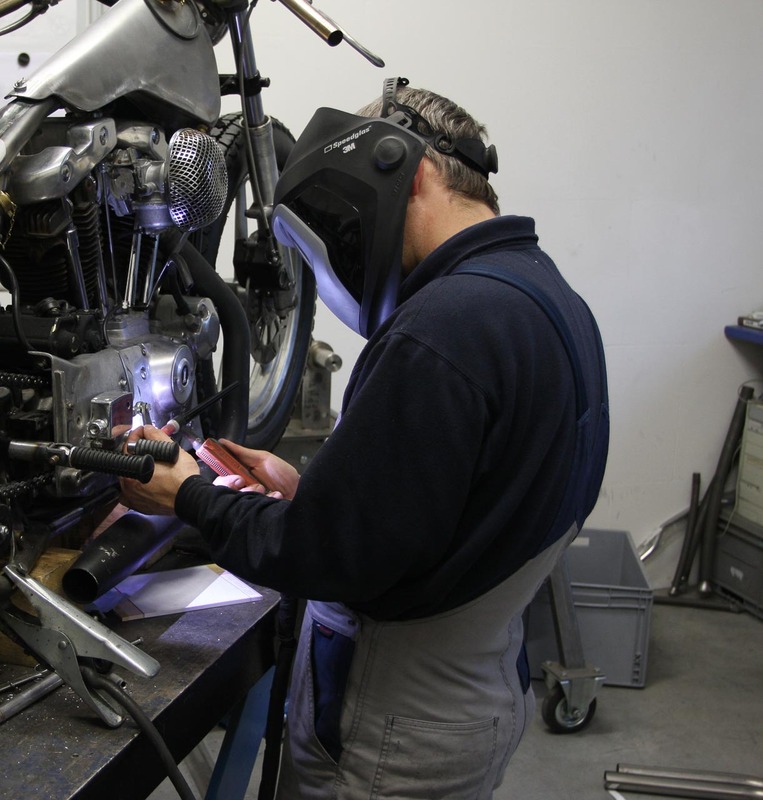 That’s why we asked Dirk Behlau, aka The Pixeleye, to scan the Racer once more … Et voilà …. 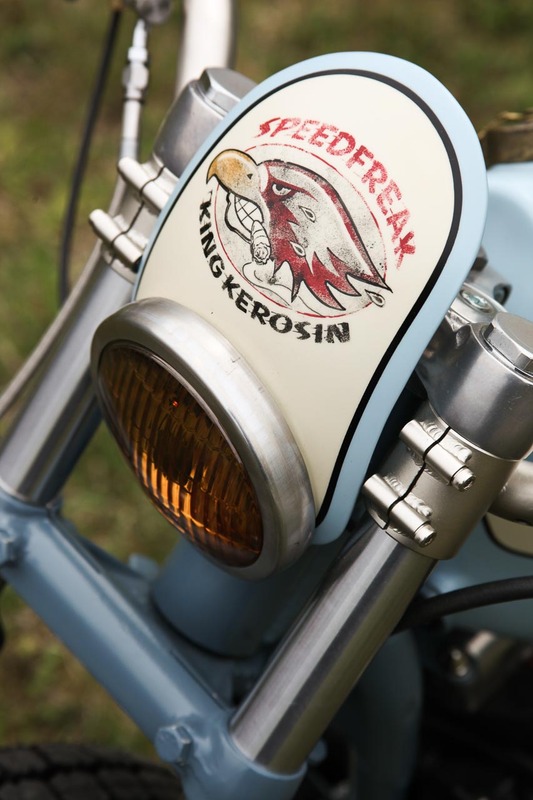 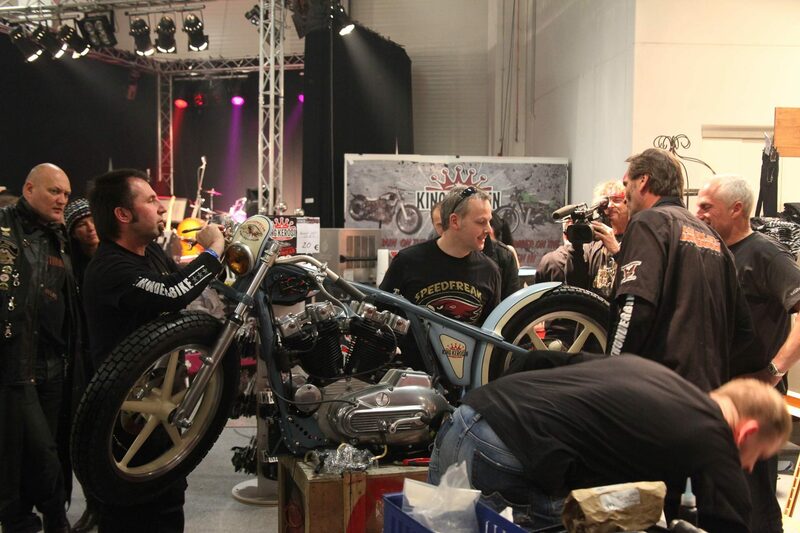 The guys from King Kerosin wanted a stylish eye-catcher, which they can use as an eye-catcher for fairs and boutiques. 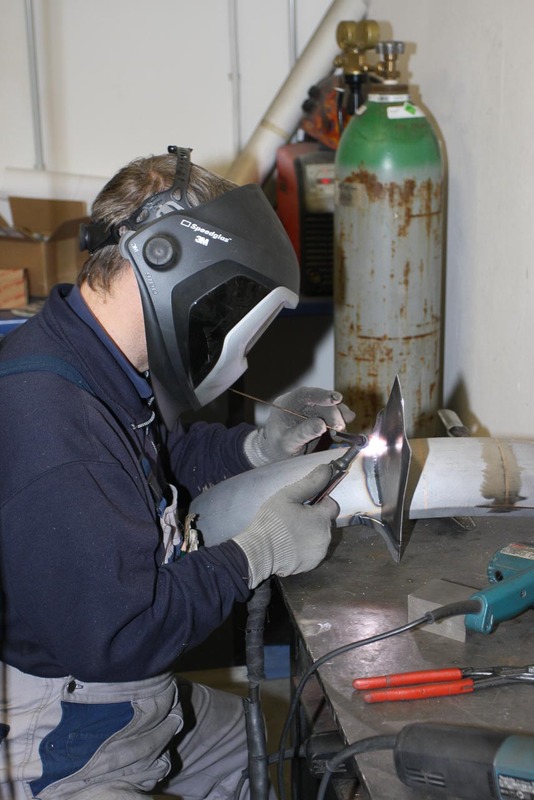 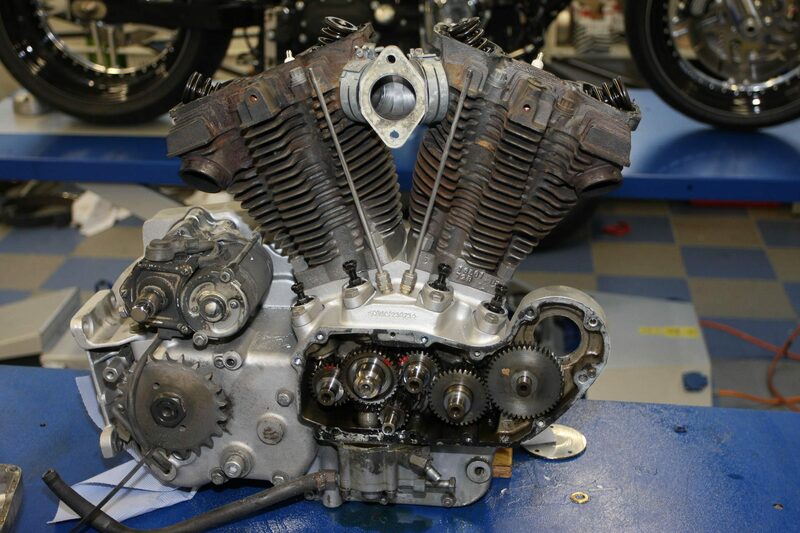 Consequently, it was not enough to do a pure restoration job. 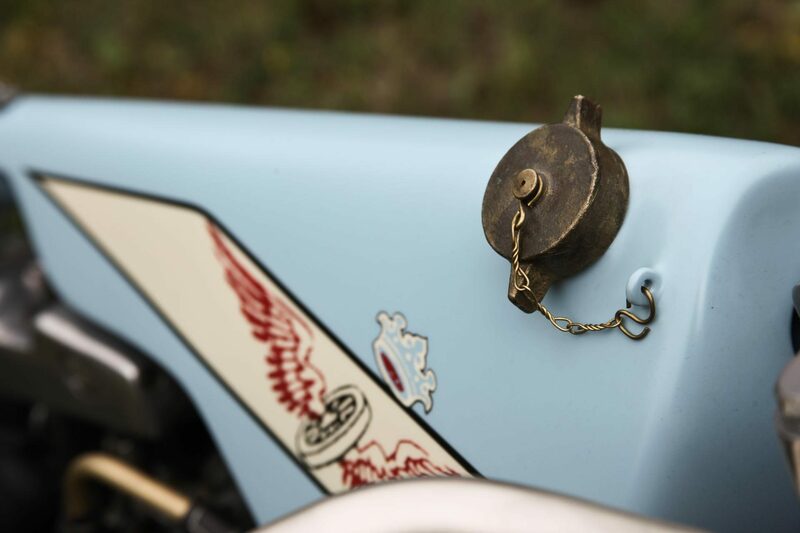 That was never our intention. 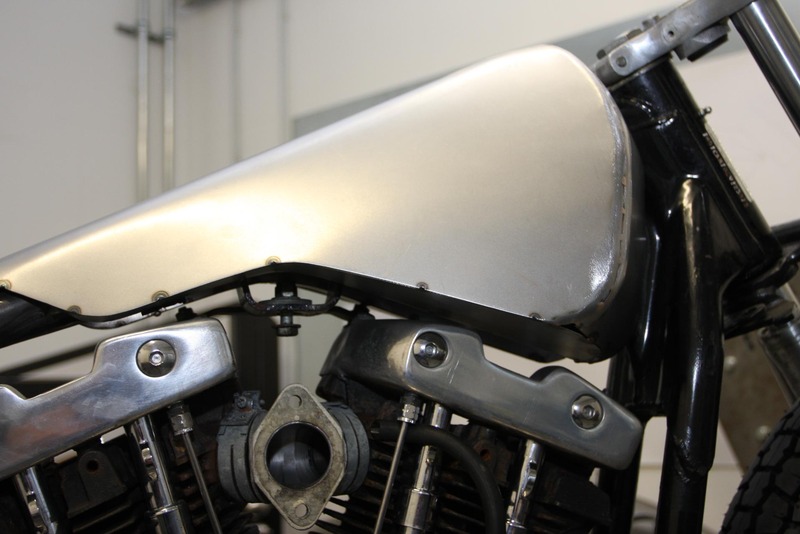 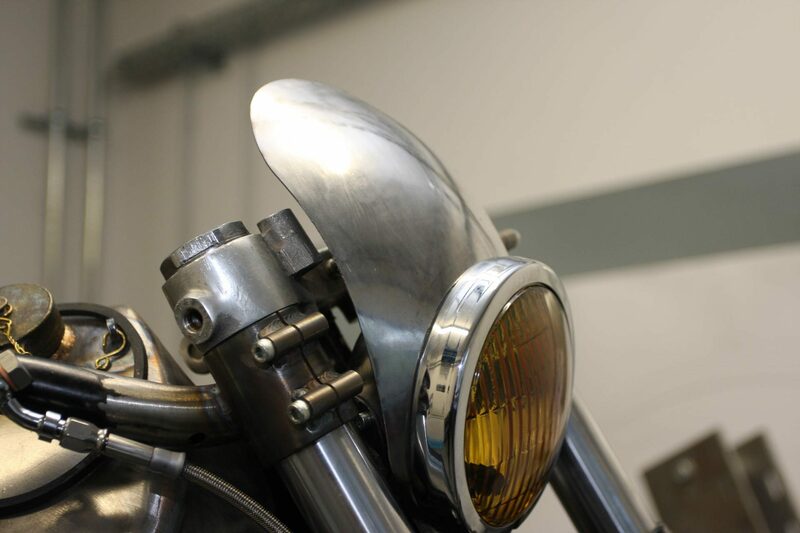 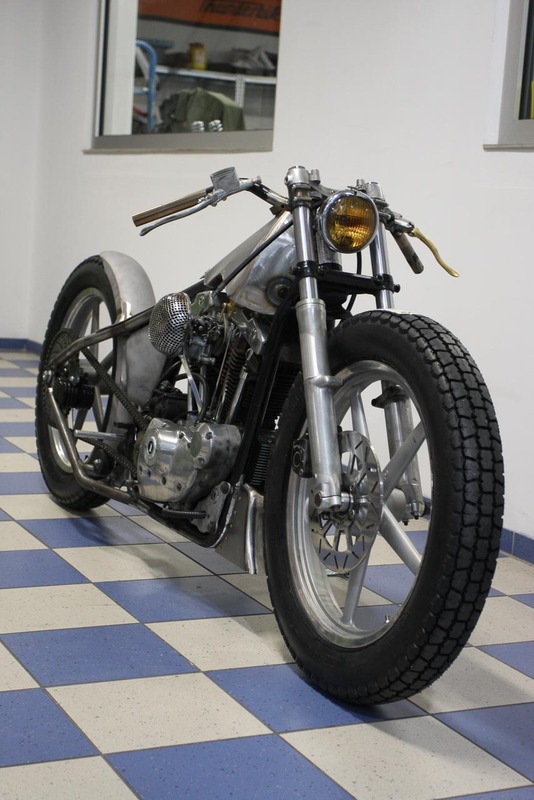 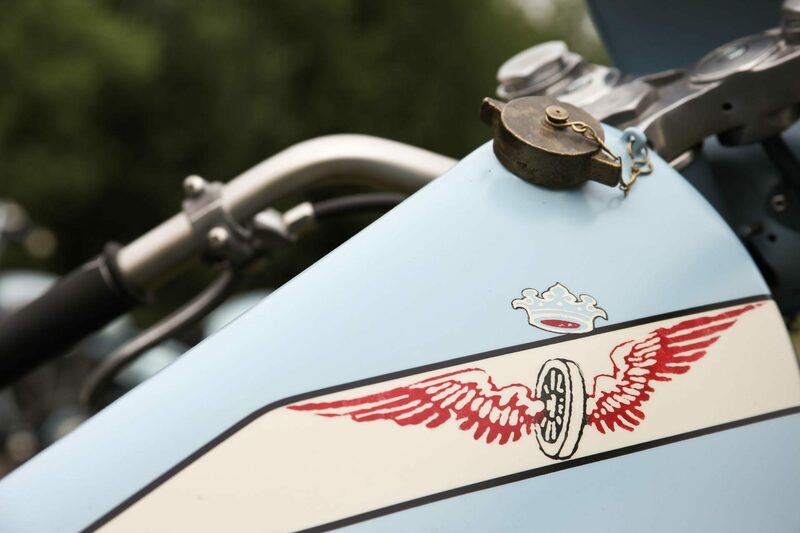 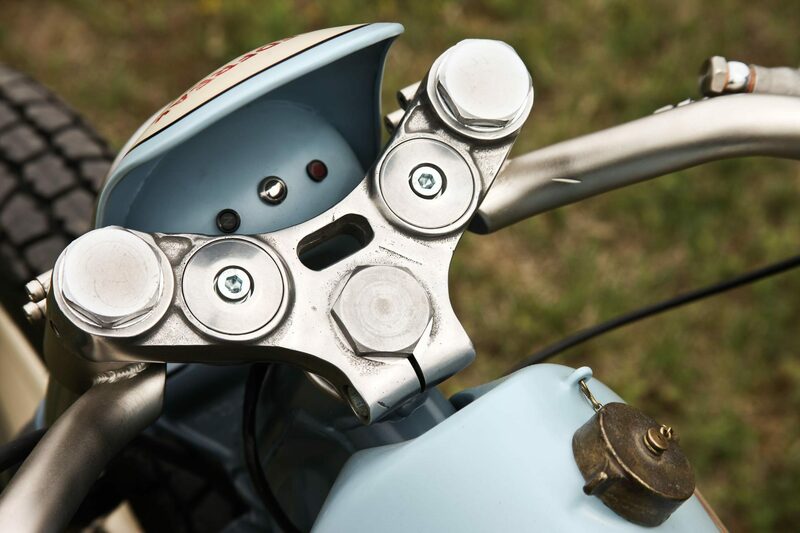 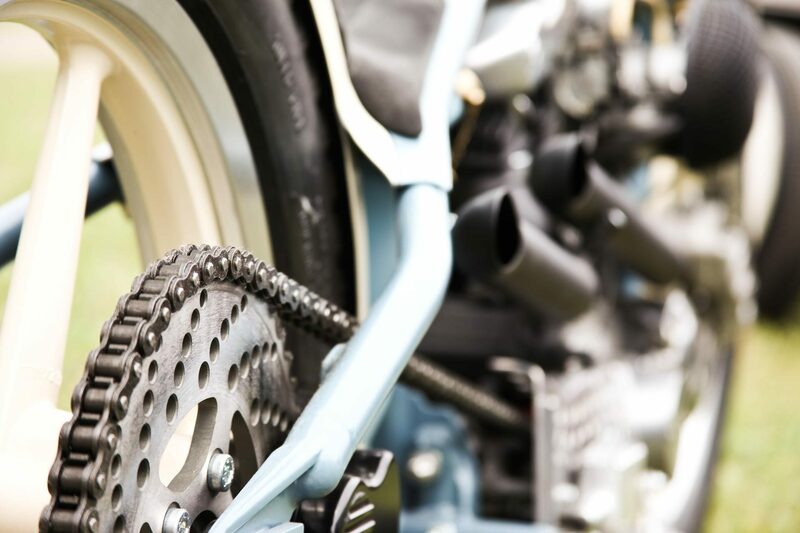 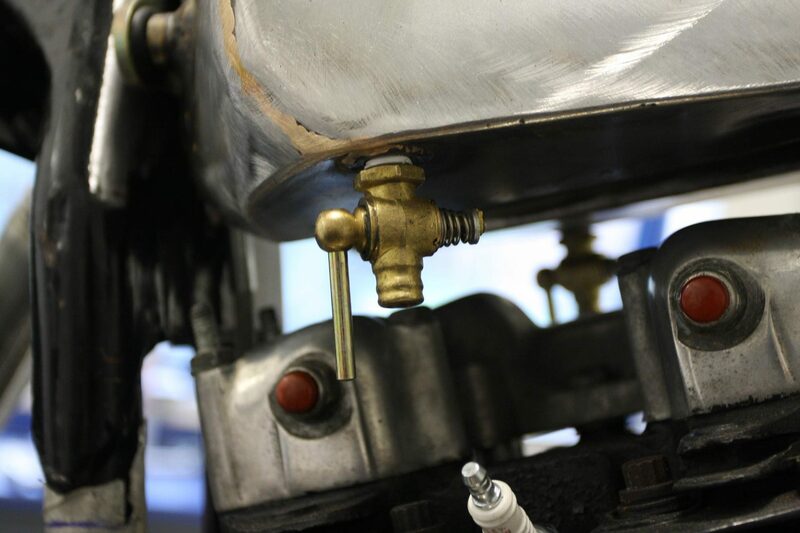 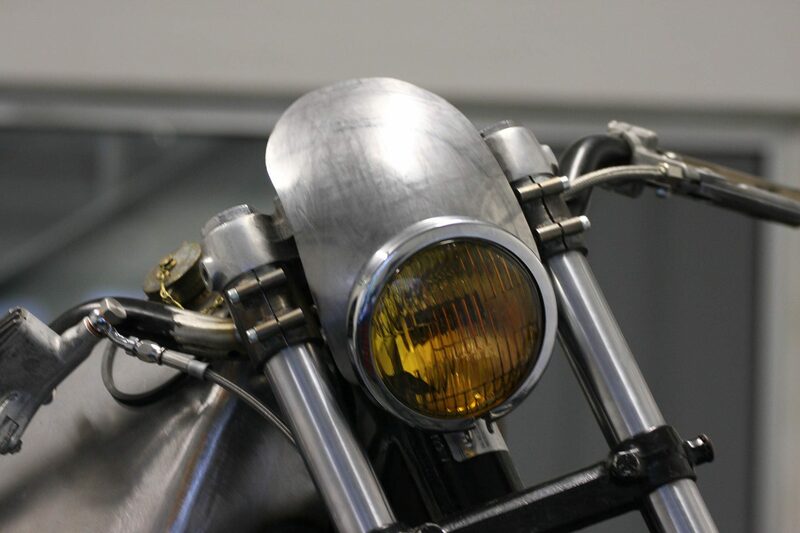 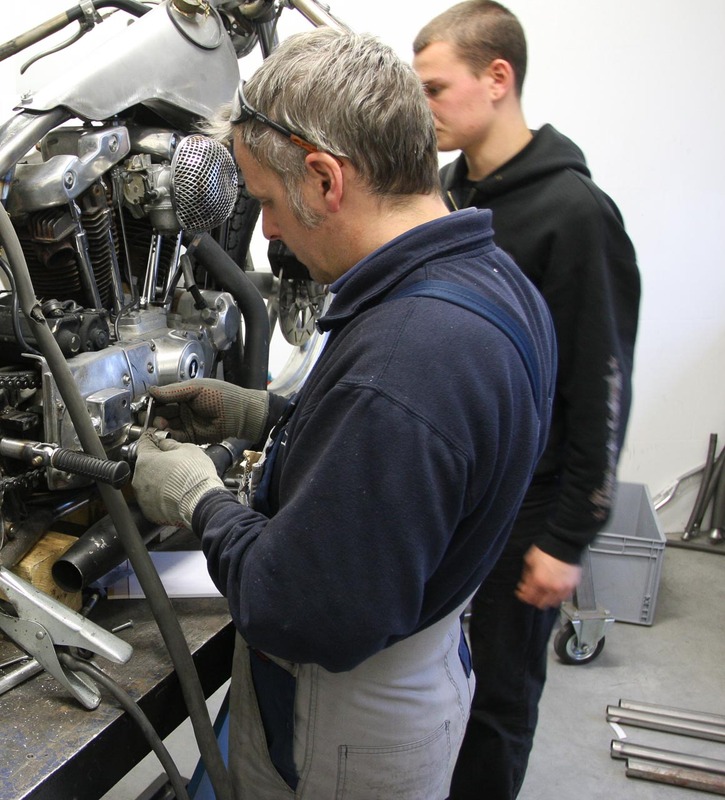 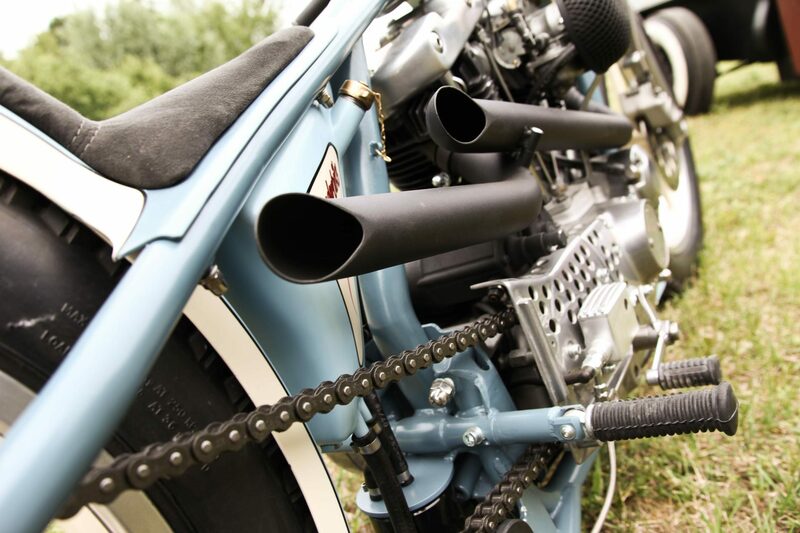 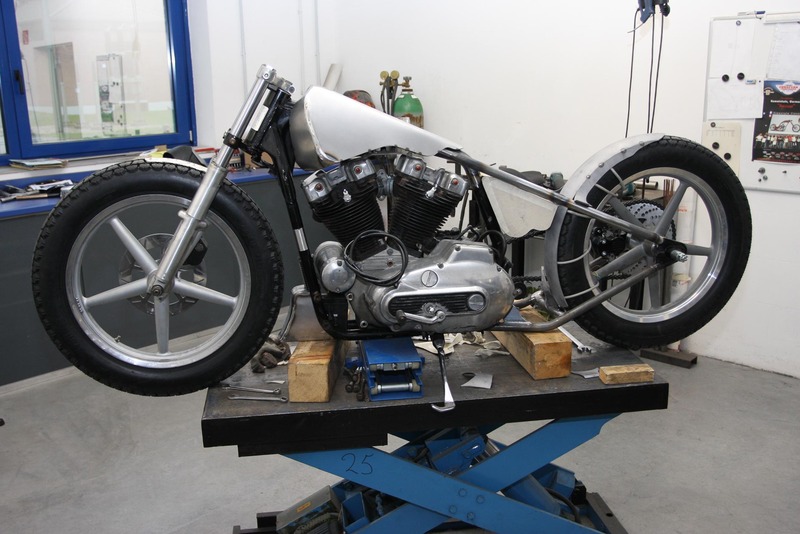 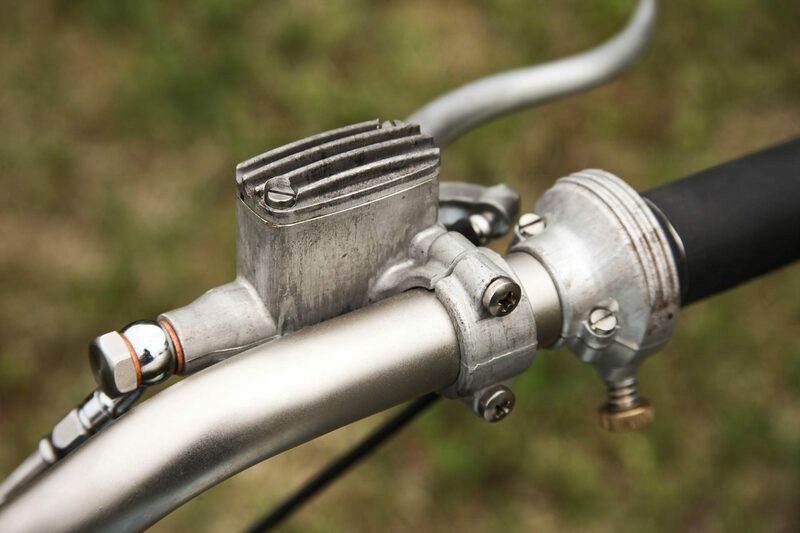 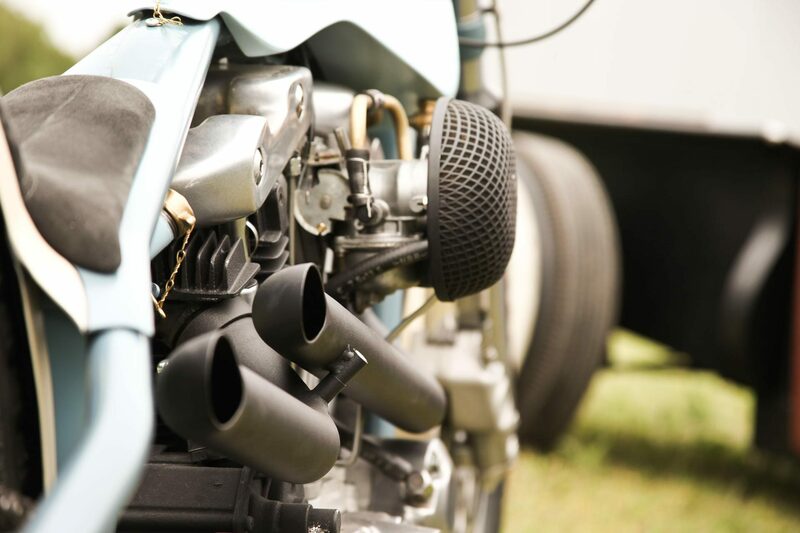 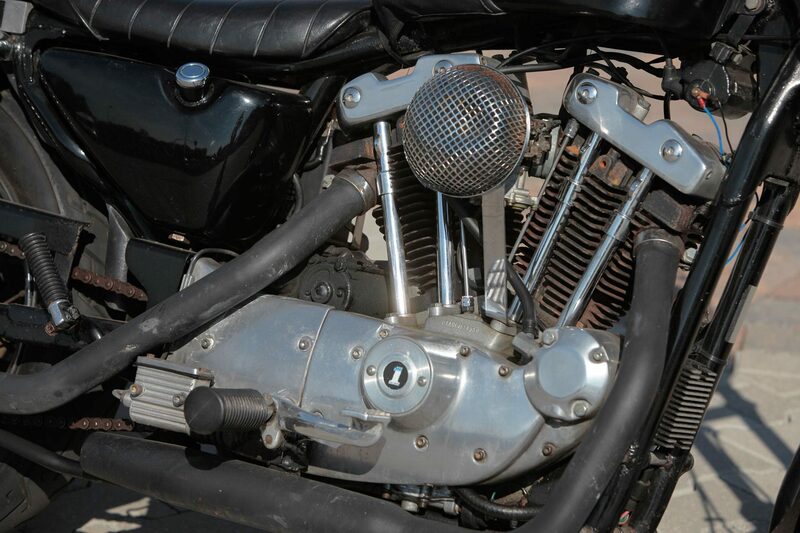 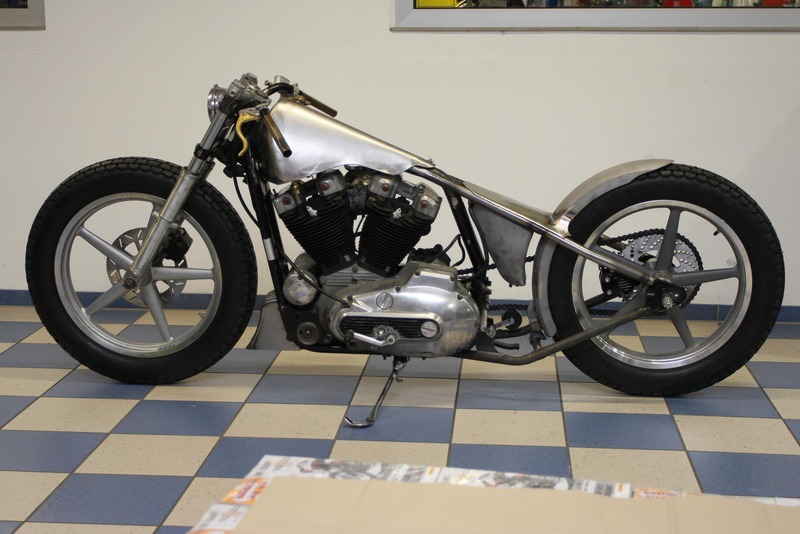 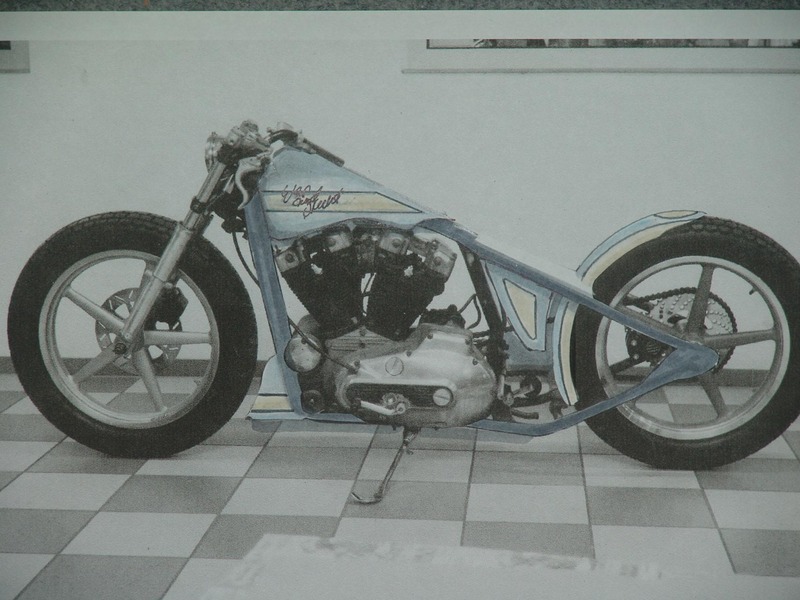 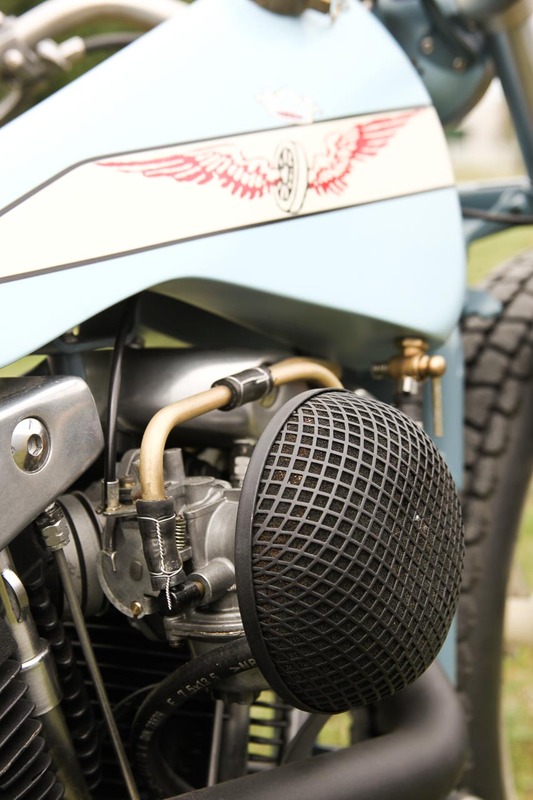 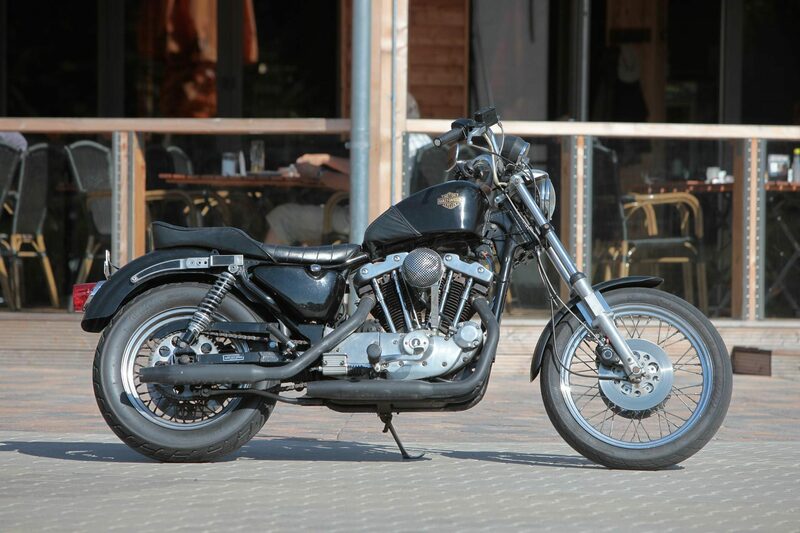 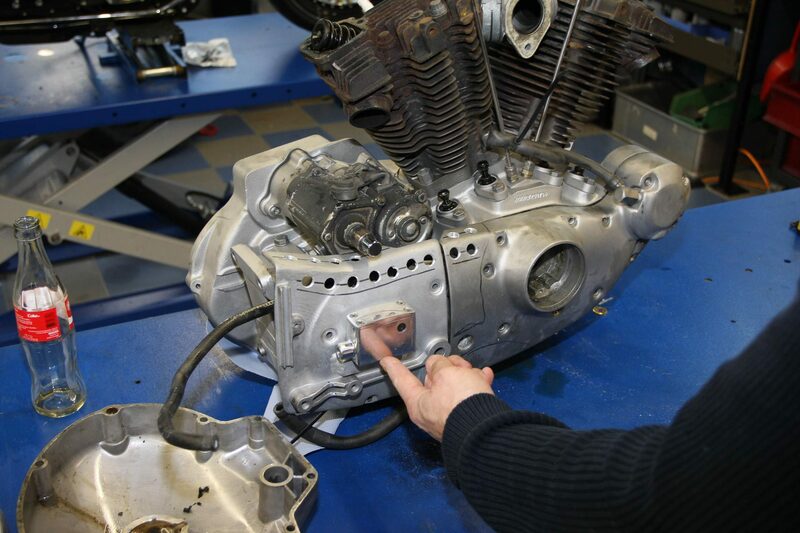 The original character of a Sportster, including the typical Sportster engine, the parallel downtubes and the narrow fork, should be preserved. 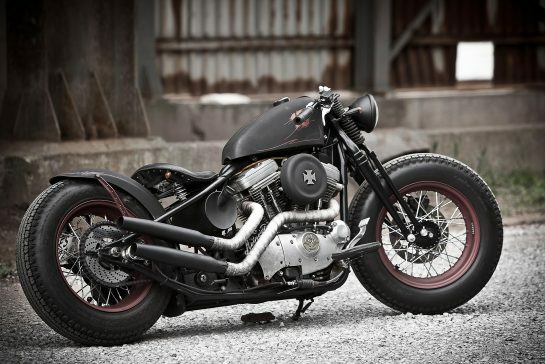 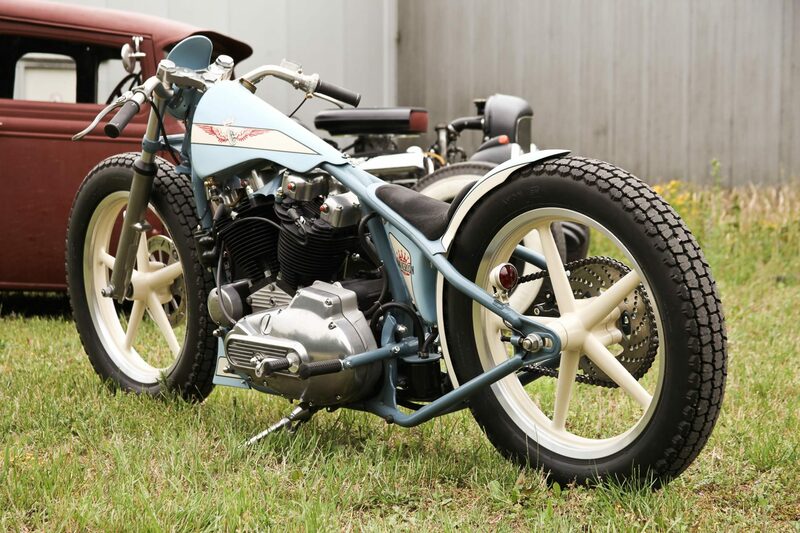 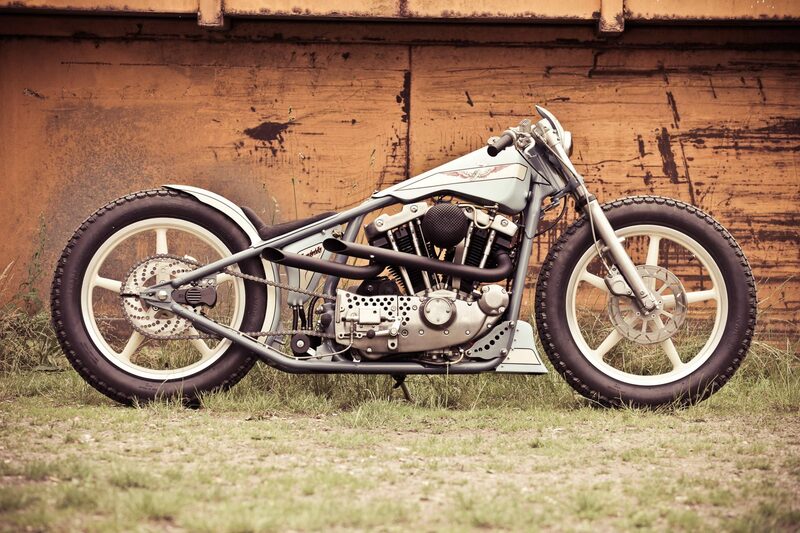 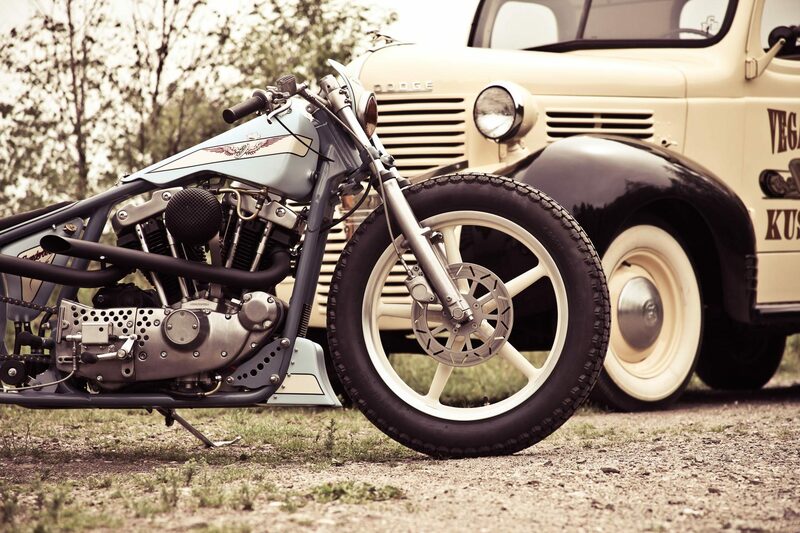 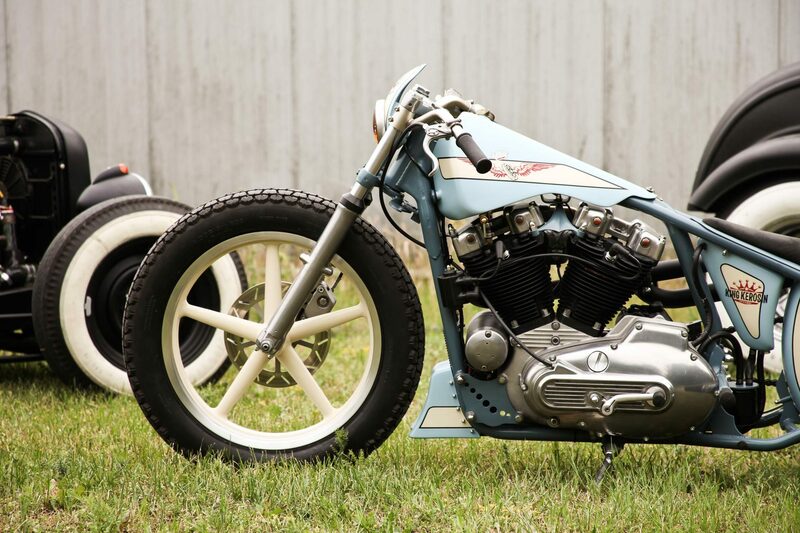 The Speedfreak should be a very special Sportster, which is more than fair their name. 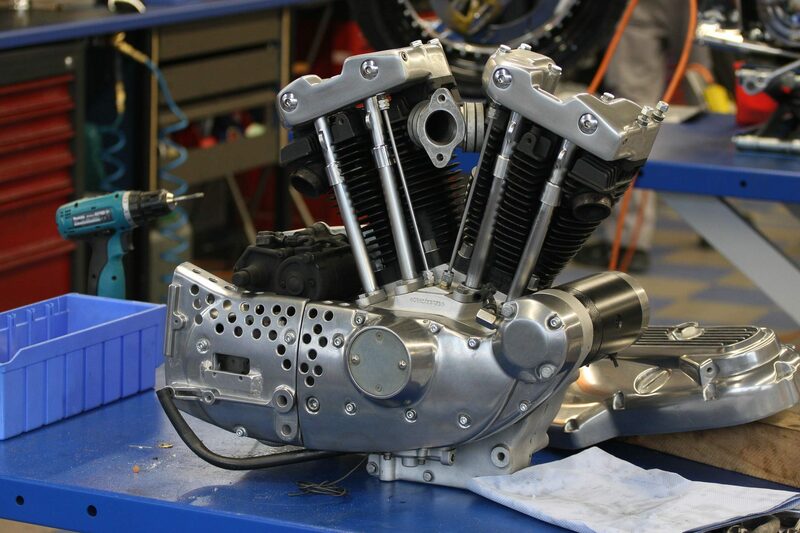 For this, the XL was professionally filleted. 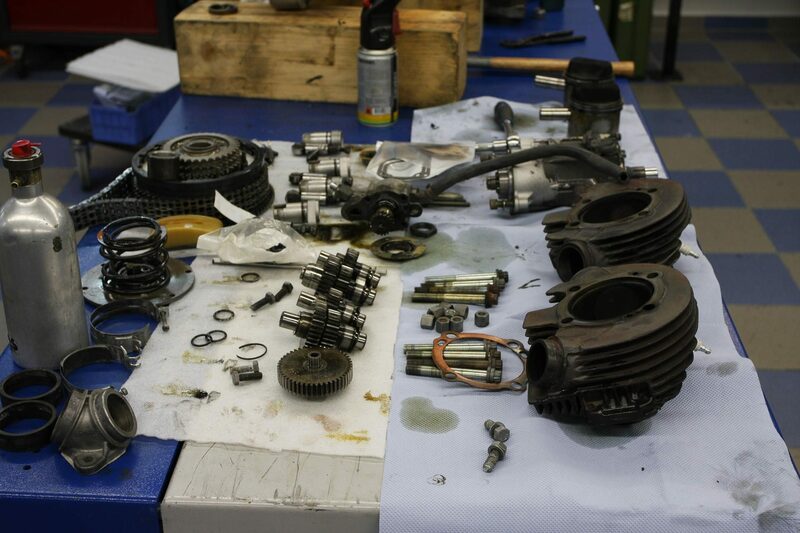 What remained were the frame, the fork and of course the engine. 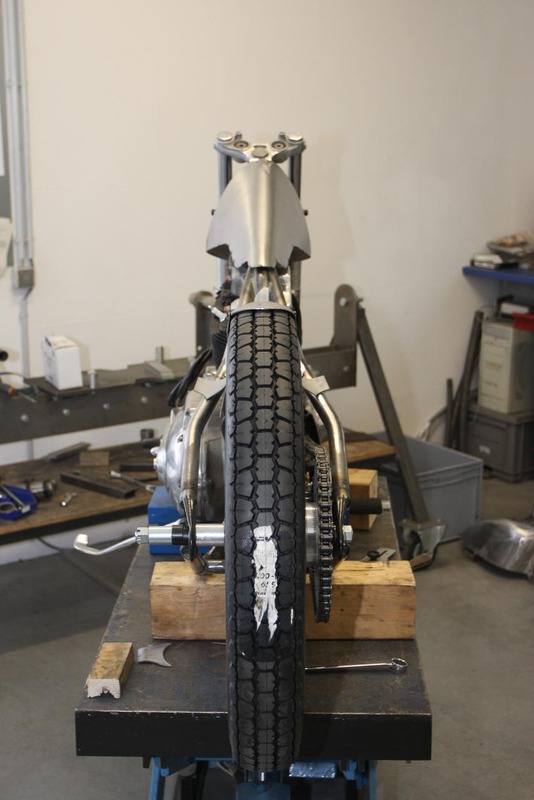 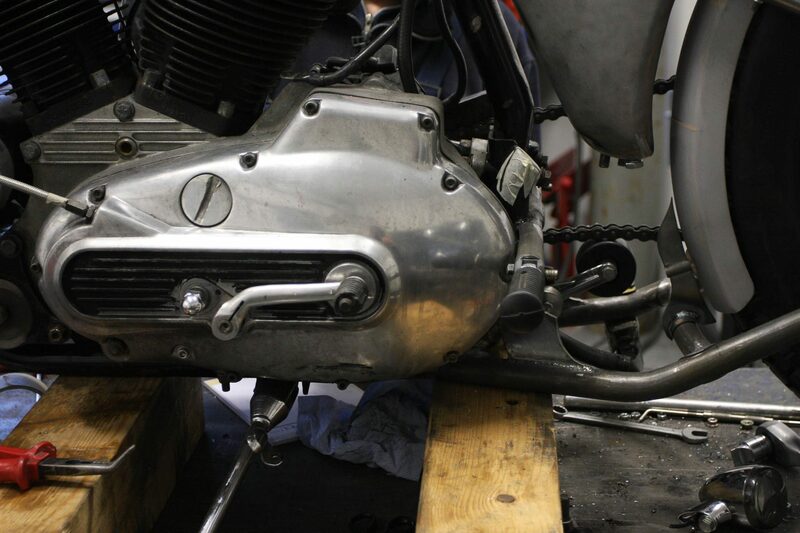 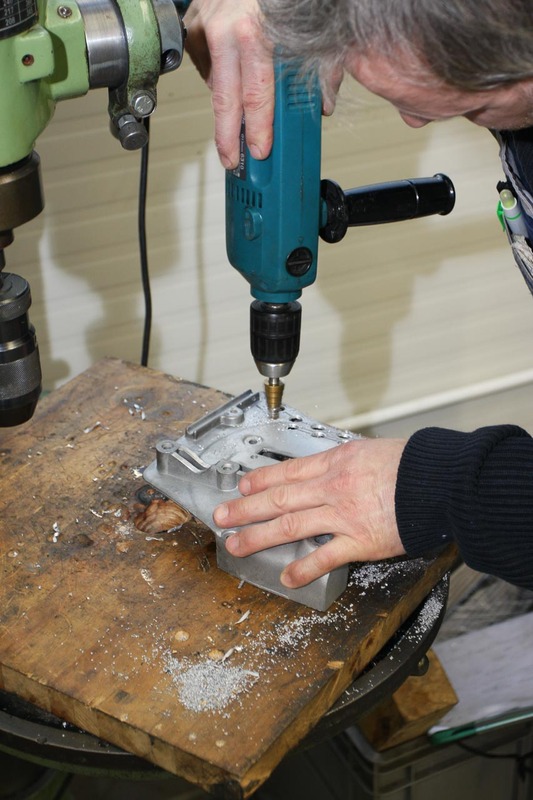 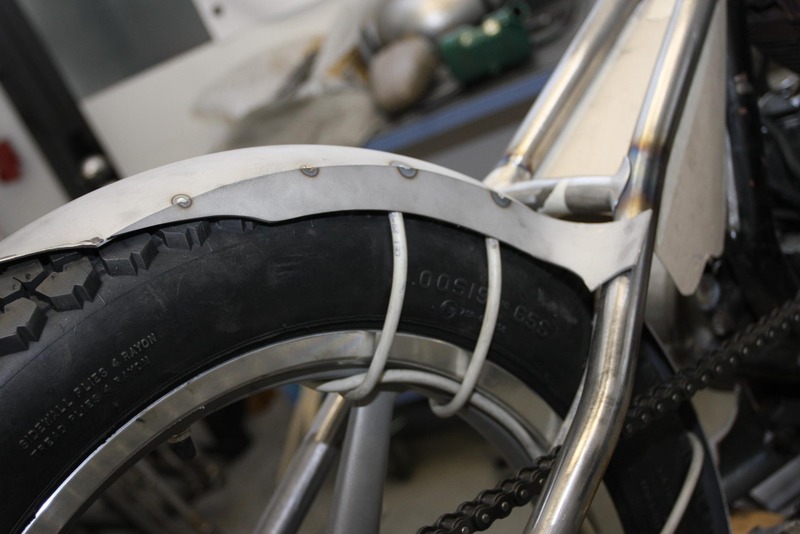 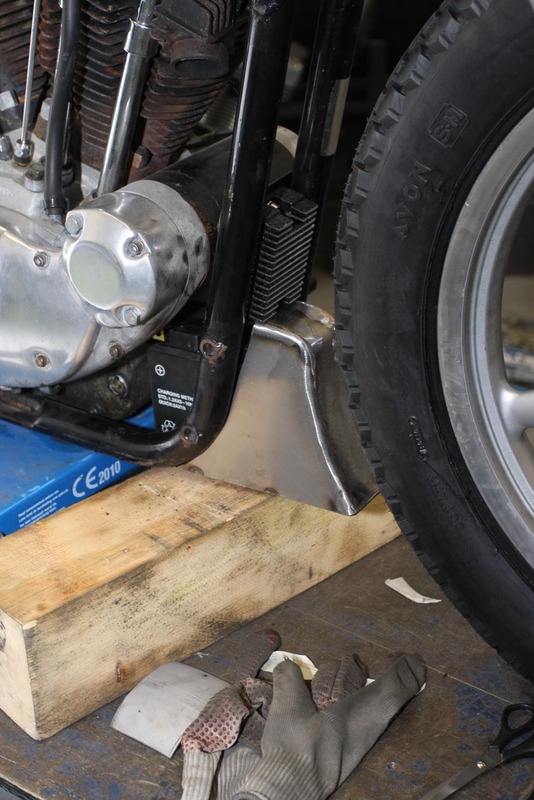 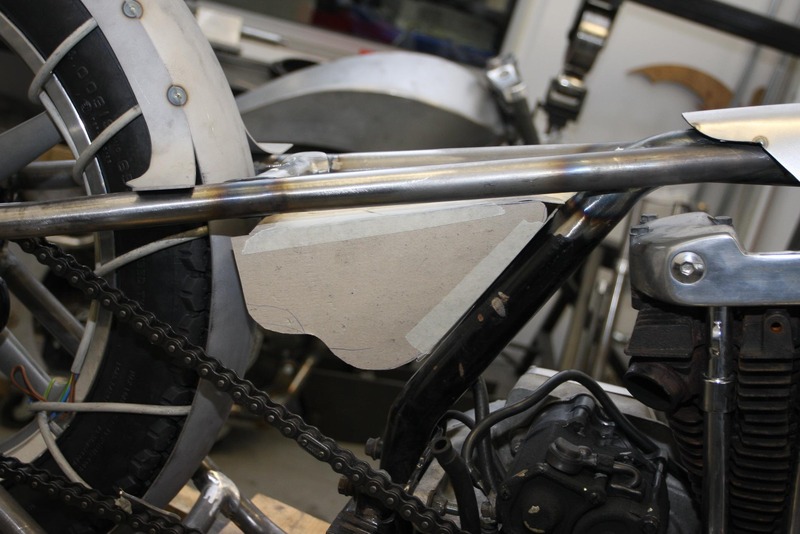 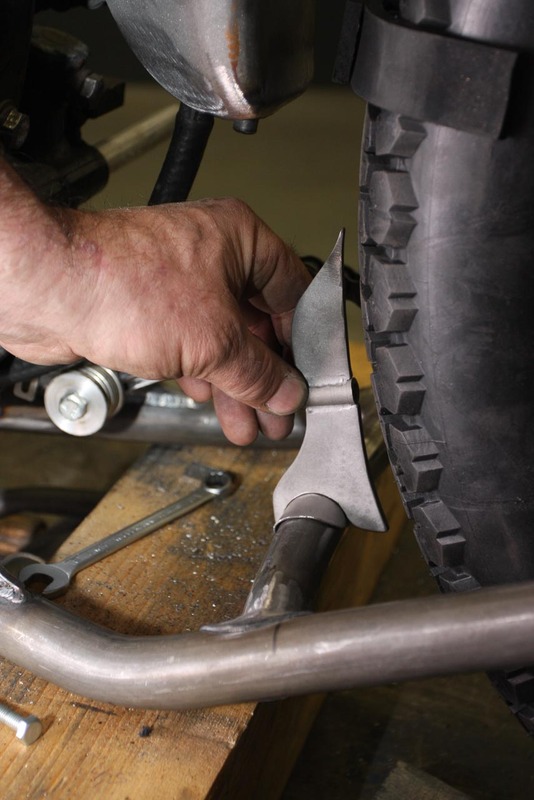 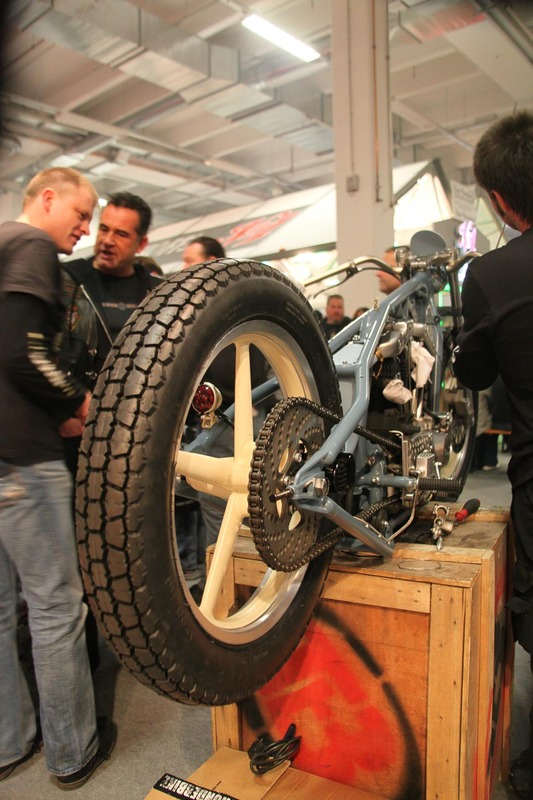 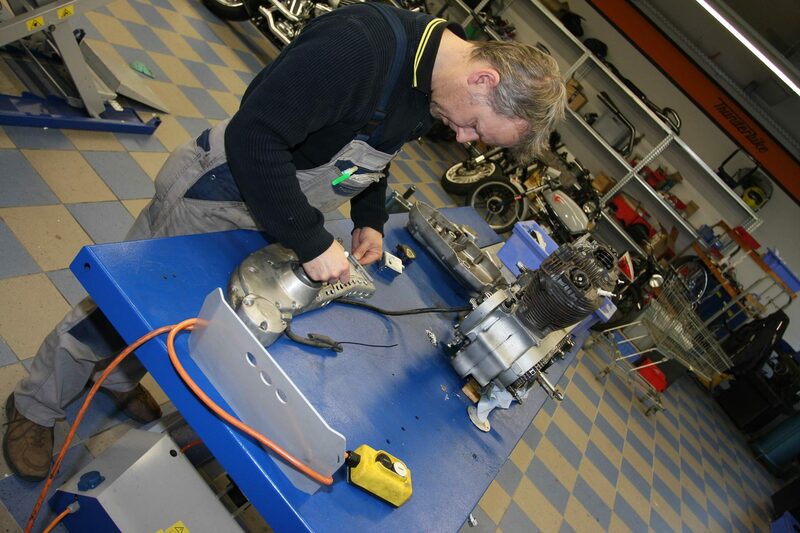 Even the swingarm was sacrificed in favor of a rebuilding of the frame. 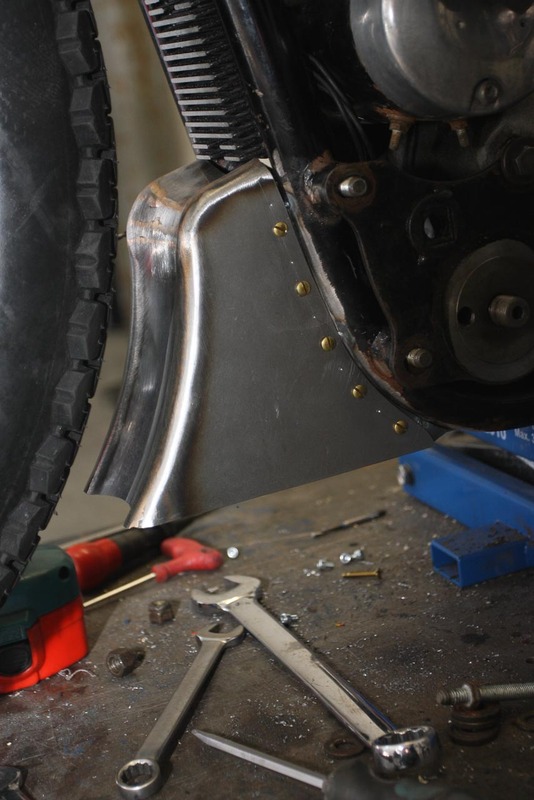 In the next step, all sheet metal parts, such as tank, fender and front spoiler (in which the battery is now housed) were redesigned. 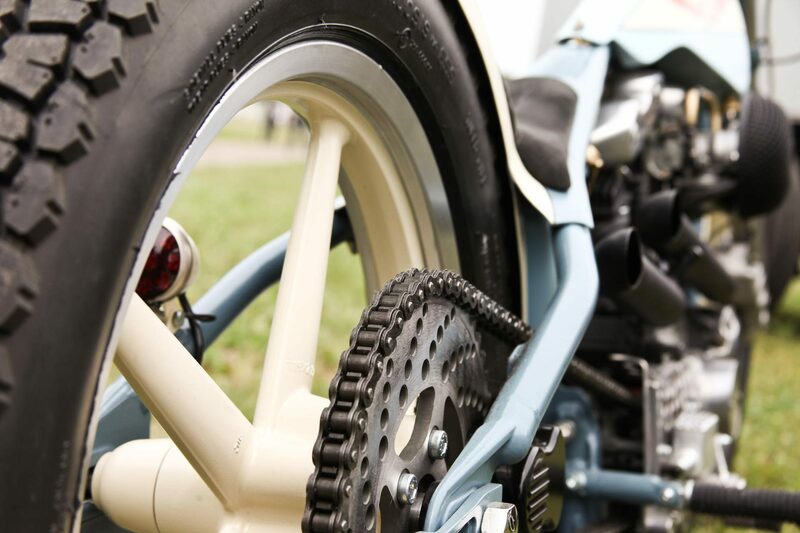 You should also take a closer look at the wheels. 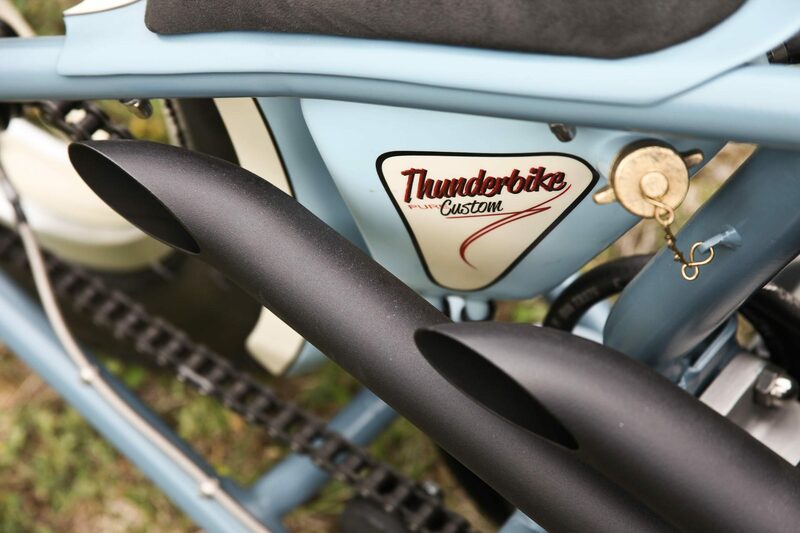 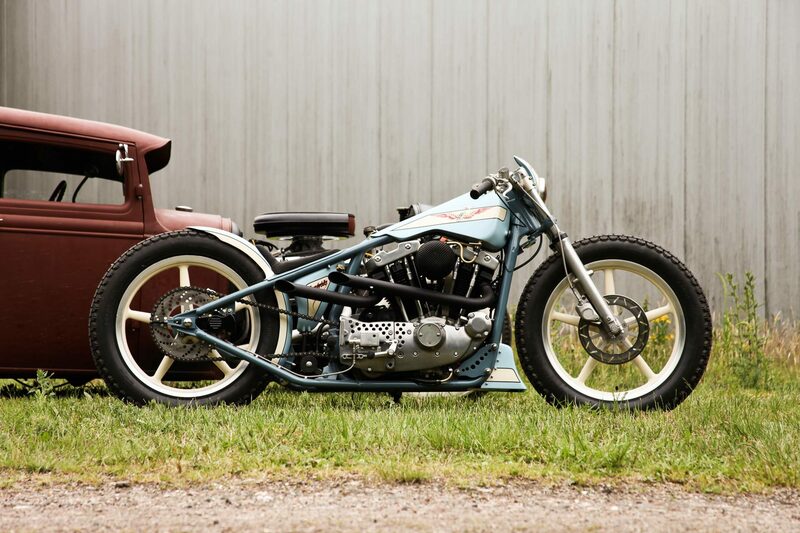 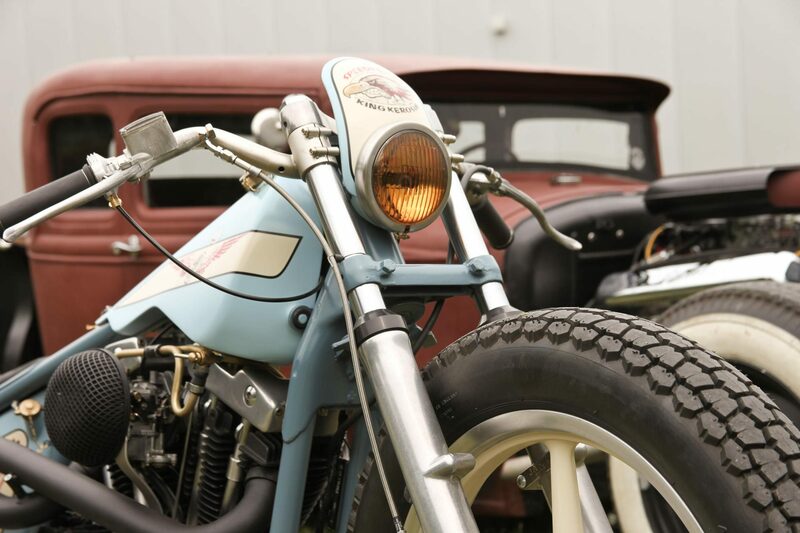 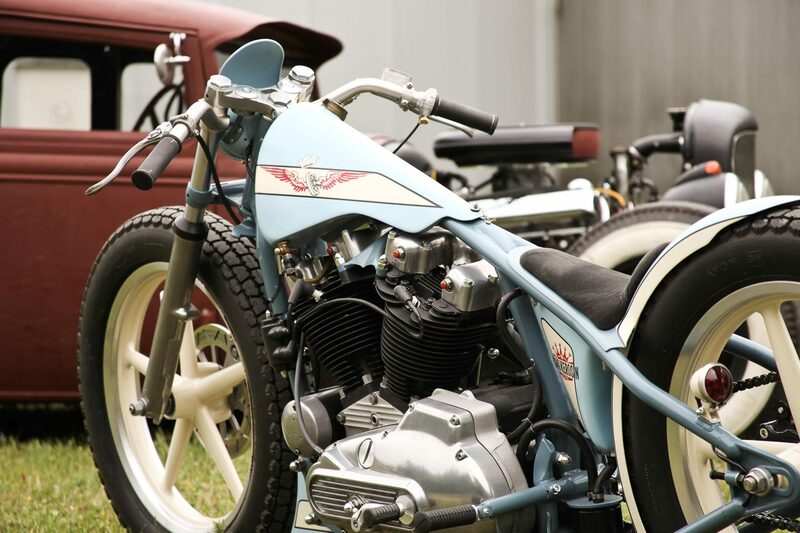 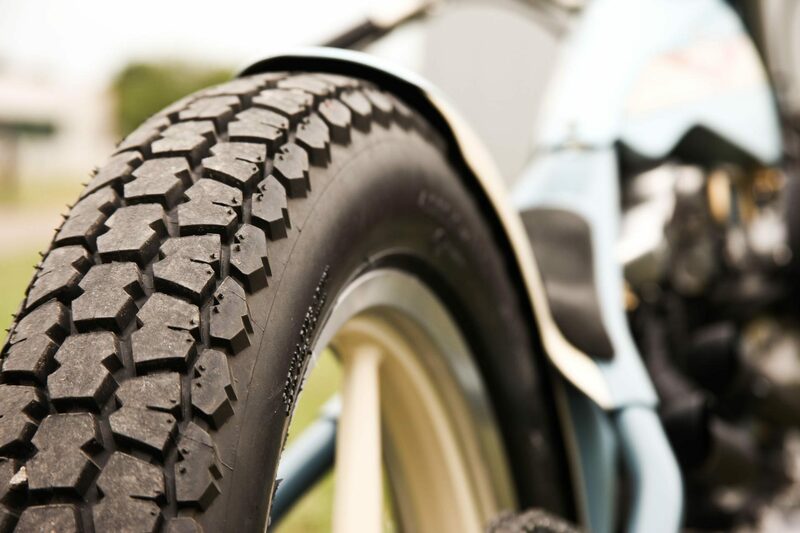 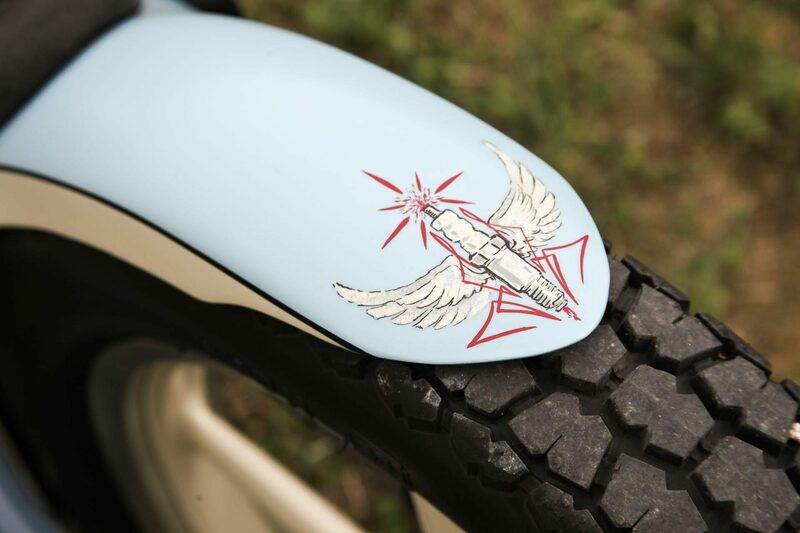 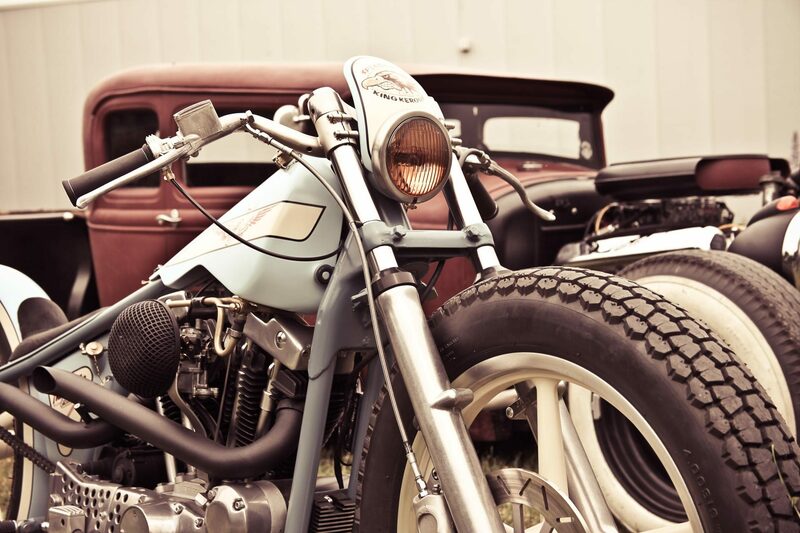 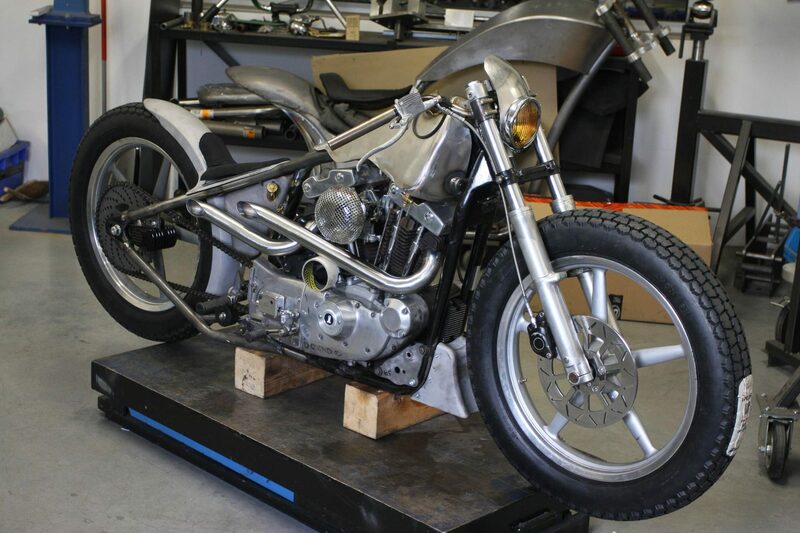 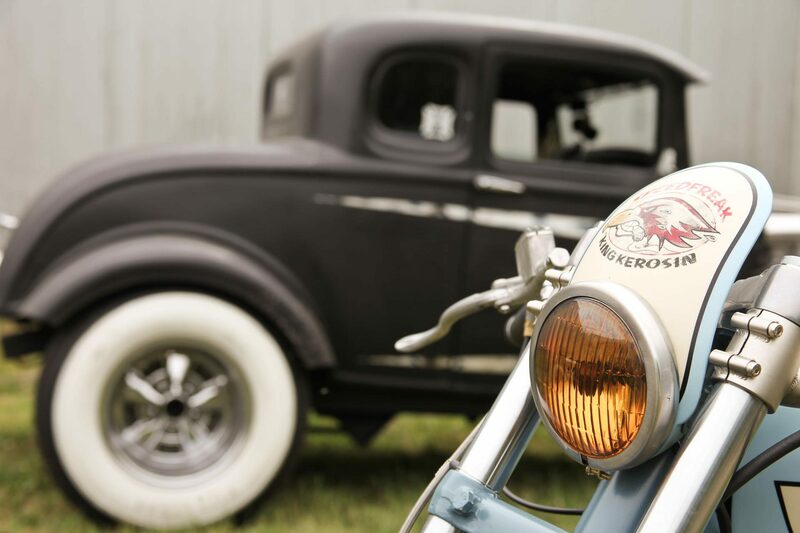 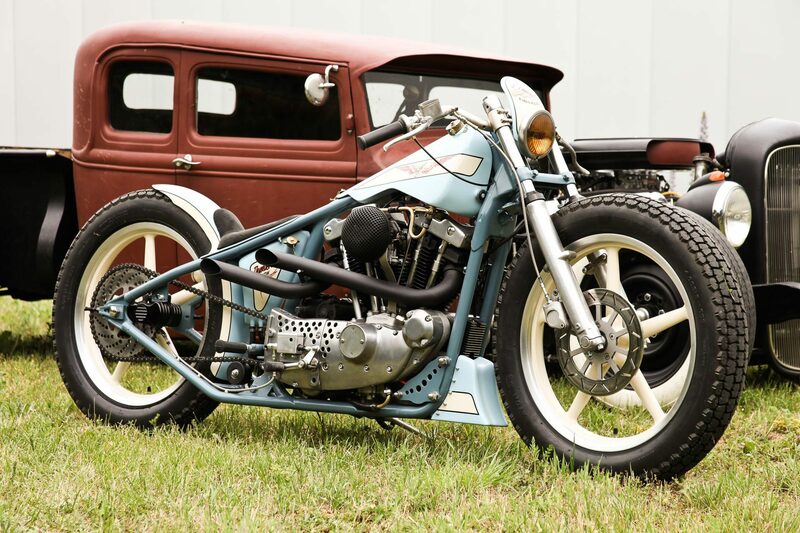 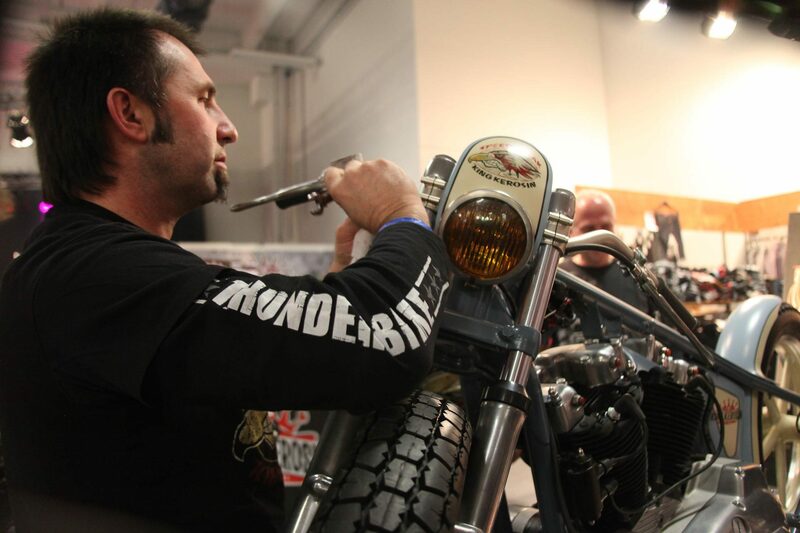 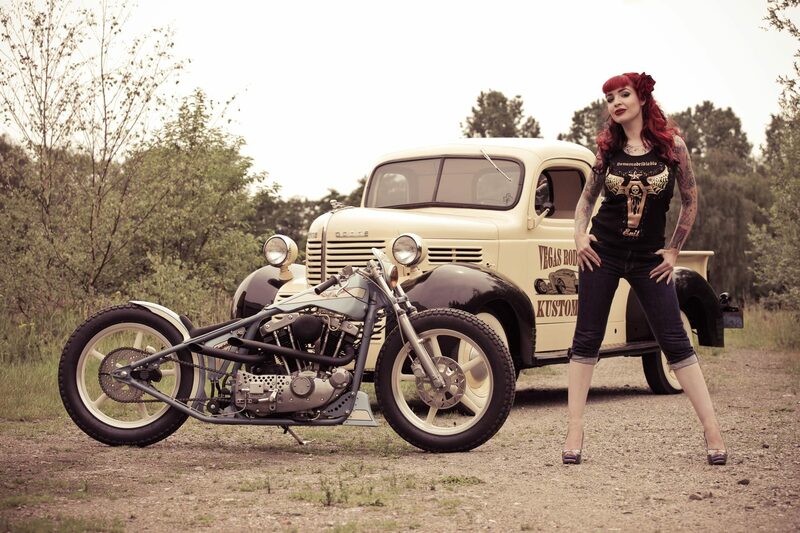 The 19-inch rounds are from the current Harley-Davidson Rocker and fit perfectly with this old-school bike. 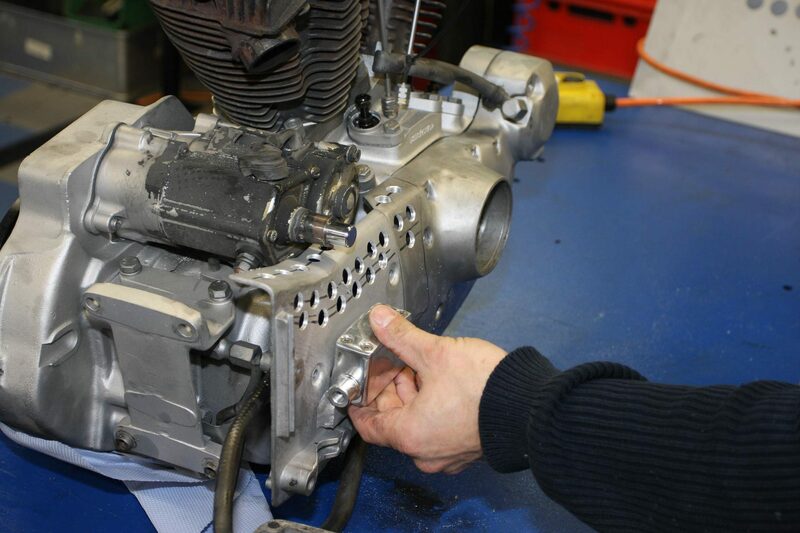 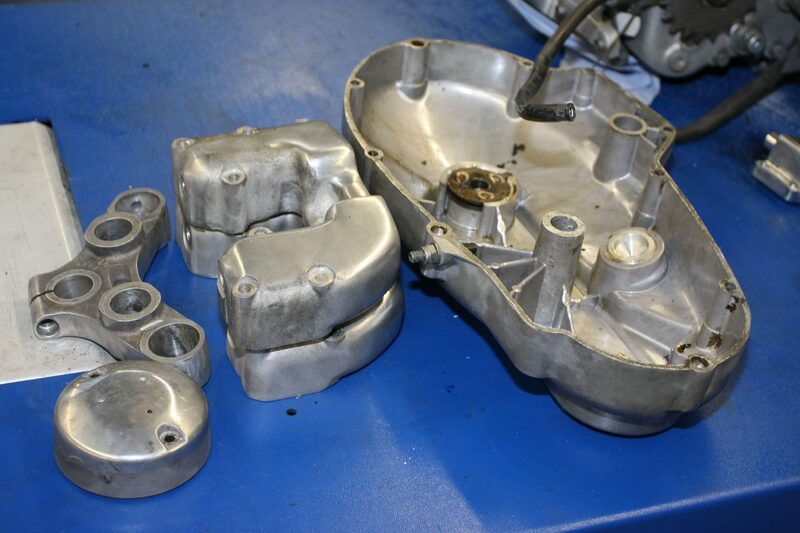 Of course, the engine has been overhauled and all cover using whole pattern adapted to the new design! 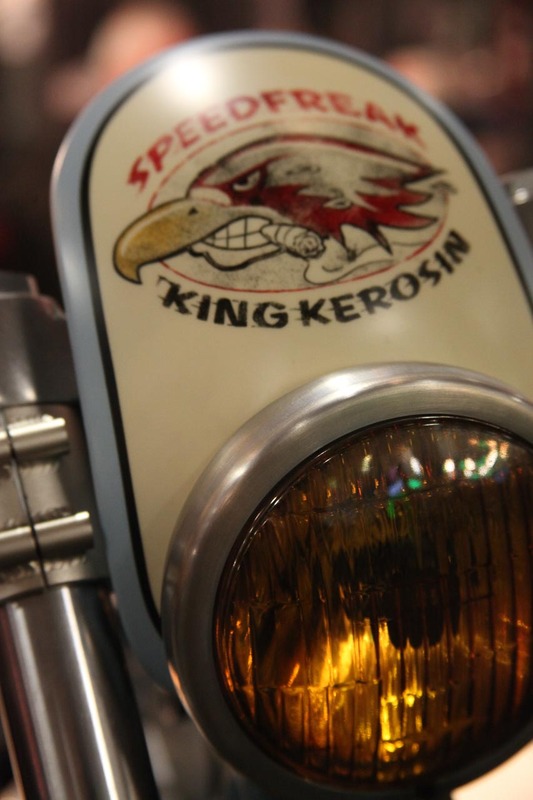 Building a bike to fit the King Kerosin label was a very special challenge. 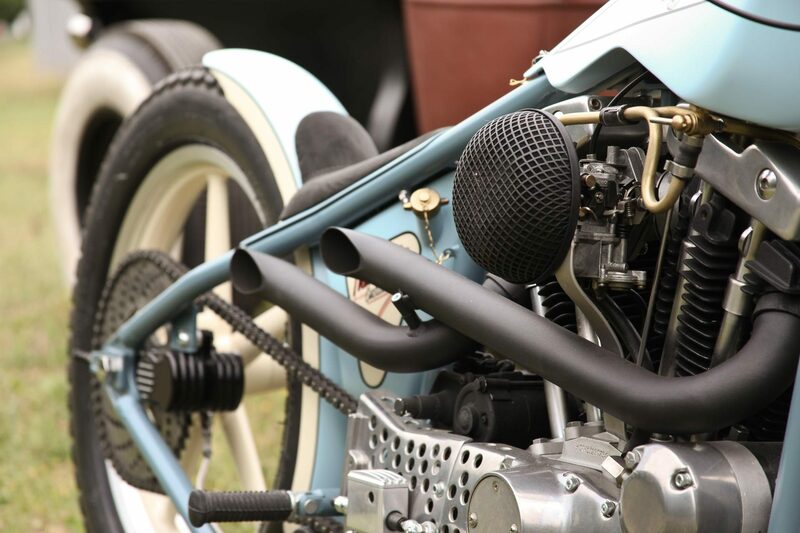 If this brand carries exactly what is extremely popular among our screwdrivers here, we call it the “Old School Race Style.” And that’s exactly what it should look like, as if we had set it up in the 1950s for a new circuit record, as a basis, we were able to find a 83er Ironhead Sportster on which the ravages of time had gnawed but whose substance was largely useful. 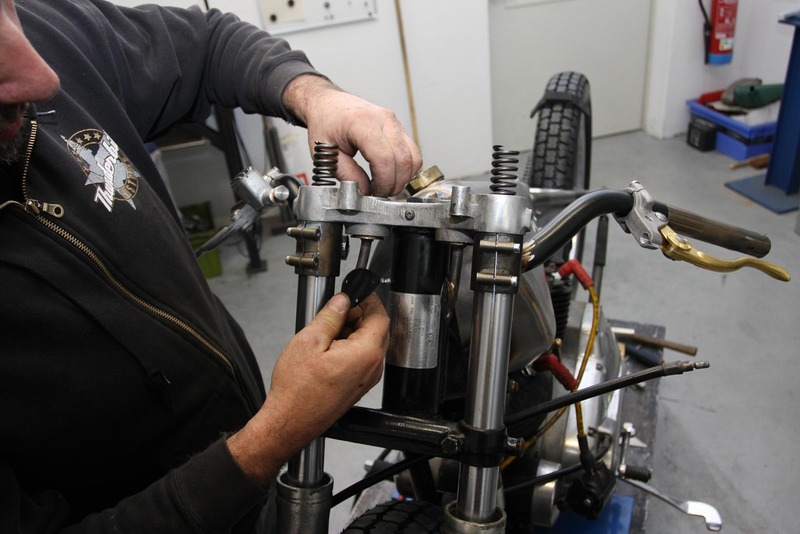 The buck was still almost in production condition and ready to drive after almost 30 years!